Havana will host, from February 22 to 25, the third edition of the International Salsa Festival, with the presence of popular salsa singers of Cuba. After the undeniable success of the first two editions, Havana will be the venue of this event for the promotion of Cuban popular music. 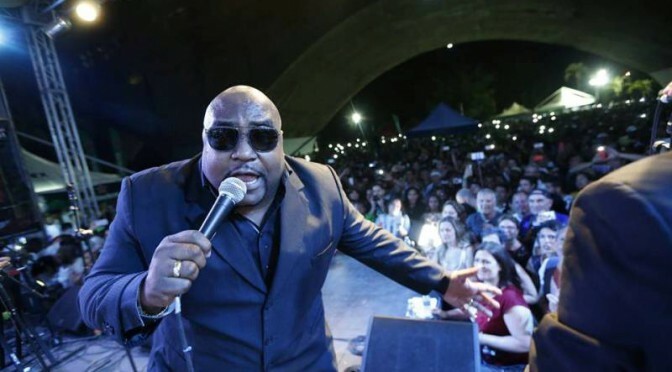 More than 10 Cuban famous bands of popular dance music will co-stage in a real Salsa Festival at Havana's Parque Metropolitano. Four foreign DJ's and one from Cuba will also participate. Simultaneously, music and dance workshops, and lectures by Cuban musicians are scheduled. Cubamusic.com provides the program of the event which is artistically and musically varied. 1:00 PM. Party of Djs. Metropolitan Park Almendares (Havana). 5:00 PM. Comparsas, animations and other activities. Metropolitan Park Almendares (Havana). 9:00 PM. From this hour on, concerts with El Niño and La Verdad, Papucho and Manana Club and Alexander Abreu and Havana D'Primera. Metropolitan Park Almendares (Havana). 9:00 PM. From this hour on, concerts with Alain Pérez, Lazarito Valdés and Bamboleo, Adalberto Álvarez and Son y Pupy and Los que Son Son. Metropolitan Park Almendares (Havana). 11:00 AM. Music workshop dedicated to singing with several singers of popular music. In Guayabera (Alamar, Havana). 2:00 PM. Dance workshop dedicated to Afro. In Guayabera (Alamar, Havana). 9:00 PM. From this hour on, concerts with Haila, Giraldo Piloto and Klimax, El Noro and 1st Class. Formell and Los Van Van. 9:00 PM. From this hour on, concerts with Cuban Combination, Paulito FG, Manolito Simonet and his Trabuco.